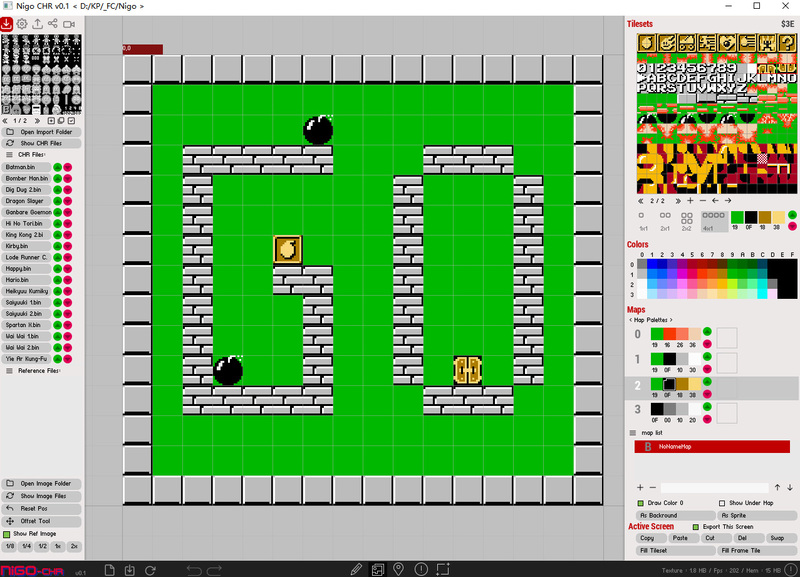 A pixel tools for Famicom/NES game development. Part of my "NiGo" project, but can be use as standalone. I will keep developing it until it get all the functions that I want, I set a minimum price for latest version, but you can still get it free after next update. More infomation / tutorials /videos will be post here! 1.Love2D Engine change from 0.92 to 0.10.0, so if you using .love you need to install Love2D 0.10.0. 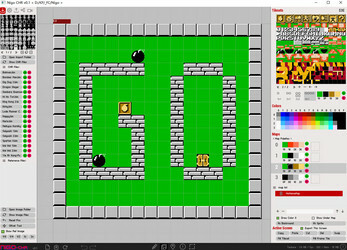 2.Import tile set when drag and drop a .png file in. 3.Fix some bugs about pixel selection. Still there are some small problems that I did't fixed, But since I will be busy next two weeks, so I want to release version 0.2 for people to testing import function. 1.Export map now use the bounds of the non-empty screens. 2.Add usage infomation to every tools. 1.Fix the bug: right click on color palette change all color 0 when color1 is active. 2.Added an option to disable pixel grid drawing. Update04:version 0.1b Add function to export entire map to one png file. 1.Now works on low desktop resolution, minimum windows size change to 950x500. 2.Add exoprt function to export map screen to png image file. Update01:Somebody ask for linux version and some told me that it doesn't works under windows vista 32bit, so I decide to put Love2D package,but you need to install Love2D framework (0.9.2 for NiGo-CHR v0.1) from here: https://www.love2d.org .